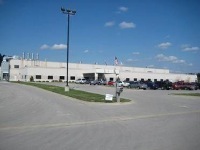 TG Missouri is a proud division of Toyoda Gosei, with North American headquarters in Troy, Michigan. TG is a customer-driven, global company that provides products of exceptional quality. As such, we recognize that our employees' success will contribute to our total company success. Therefore, we have high expectations of our employees and are confident our employees can exceed them. These expectations are necessary in order for us to sustain our growth and achievement. With our employees' help and efforts, TGMO/TGNAI/TGMS is looking forward to continuing growth and prosperity as we find new and better ways to serve our customers' needs.